People who love cycling have that special streak of adventure: experiencing new places in a challenging physical way, often with wind whipping past. If you want to take your bike out for an adventure in the Livermore region, you won’t be disappointed with the Iron Horse Bike Trail. The Iron Horse Bike Trail is a multi-use, whole-access trail between the cities of Concord and Pleasanton. Fun fact: the trail follows the Southern Pacific Railroad right-of-way established in 1891 and abandoned in 1977. Completed in 2014, the Iron Horse Bike Trail spans 32 miles of California landscape and history.. The trail was established after thirty years of planning. It was a long time coming, but well worth the wait. Not only does the Iron Horse Bike Trail serve cyclists, it also serves recreationalists of all types–and even commuters. The 20-foot-wide paved trail will send you whizzing through residential and commercial areas, business parks, schools, public transportation centers, open spaces, parks, and more. You’ll be getting great exercise with an inside look at the region, all at the same time. 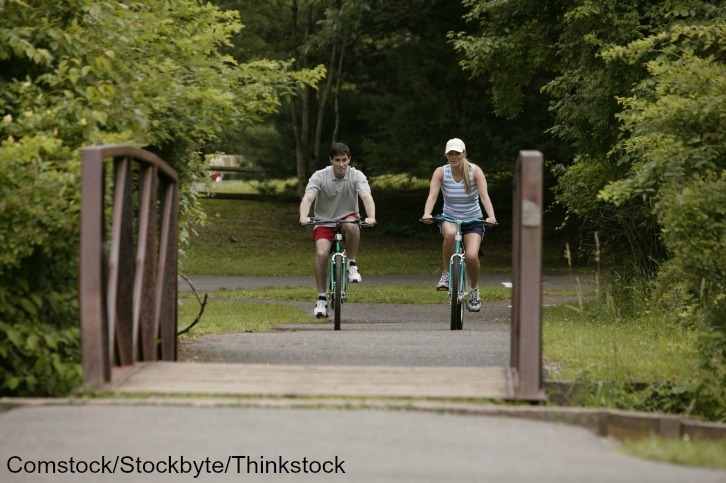 If you want to bike the entire Iron Horse Trail, you can begin in Concord near Highway 4. It runs south through Walnut Creek and crosses east under I-680 at Rudgear Road near a Park & Ride. From there the trail passes through a rural/residential area to connect with downtown Alamo and the Alamo Square shopping center. Continuing south, the trail follows a greenbelt through residential areas and into downtown Danville. From there you’ll cross the county line in San Ramon extending to the Dublin/Pleasanton BART and further on to Shadow Cliffs Regional Recreation Area. Eventually, the Iron Horse Regional Trail will continue extending to cover a distance of about 55 miles, connecting 12 cities from Livermore in Alameda County to Suisun Bay in Contra Costa County. So consider your ride a taste of more to come! Since the Iron Horse is a multi-use trail, there are guidelines and best practices to consider while sharing the path with hikers and even horses. Bicycles must yield to horses and hikers. Stay to the right side of the trail unless passing. In the cooperative spirit that brought the trail into existence, be safe, considerate and aware. Headphones aren’t advised for safety purposes. Helmets are required for cyclists under 18 by law but are encouraged for all cyclists and equestrians. Certain offshoots of the trail may be marked No Bicycles, whether walked, ridden or carried. Bells are required on bicycles on Park District trails. Bicycles always yield to pedestrians. Before passing, SLOW DOWN, ring bell and establish verbal contact. To see the trail map, go to the East Bay Parks site for the Iron Horse. After you’ve ridden the Iron Horse, rejuvenate your tired muscles with a Sports Massage at The Purple Orchid. We’re experts at catering to those who enjoy our region on bike and foot! Don’t forget to download our free area Vacation Guide to plan your trip.